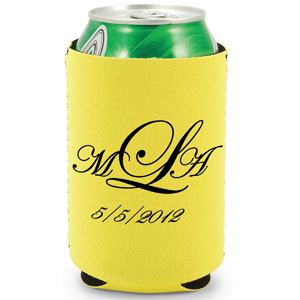 Minimum order is 25 coolies. 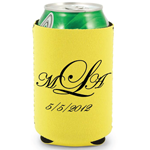 Pricing as low as $0.84 each. 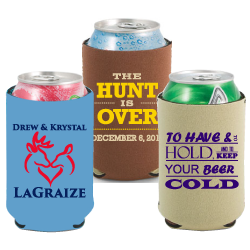 We offer these in a wide variety of colors, both in the choice of the sleeve color of the koozies and the words that are printed on them. 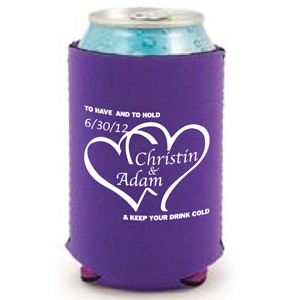 There are many approaches you can take to designing your koozies—whether you want to be lighthearted or serious, there are plenty of options for designing your koozies that will make them ideally personal to you and your future spouse’s personalities. 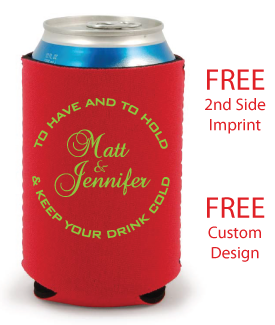 The neoprene can coolies fit both can and bottle coolies.